The best iPhone Astrology software (also on Mac)! Includes: Natal Charts, Transit Charts, Progressions, Relocation, Solar & Lunar Return, Relationship & Composite charts, mid-points and a tabular Ephemeris and Calendars for the years 1700-2099 (extendable to 5000 years 2500 BC to 2500 AD) • You'll love "Sky Now", a continuously updating chart of the sky for any location • Customize the Ephemeris display for any time & location • Use iCloud to backup and sync Charts between all your Mac & iOS devices! Stop carrying all those books and get iPhemeris. • Reports: Synastry Grid, Aspects, Points, Elements, Rulerships, Dignities. • Reports: Midpoints (In-App purchase). • Rectification tool to time step charts: 1min, 10min, 1hr, 1day, 1mth, 1yr. • Print & share charts & reports. • "Sky Now", real-time chart for your location. • "Houses Now", real-time table of cusps for your location. • Save hundreds of charts. • Customize: planets, points, aspects and orbs shown on charts. • 400 Years included: 1700 - 2100. • Ephemeris can be extended to 5000 years: 2500 BC to 2500 AD. • Ephemeris displays Tropical or Sidereal longitude. • Declination tables with latitude. • All Planets +Chiron, Vesta, Pallas, Juno, Ceres, Cupido. • North Node (True or Mean). • Moon's position for ephemeris time & 12 hrs. later. • Table of Moon Phases: Date, Time, Sign for GMT and Local Time. • Table of Lunar & Solar Eclipses: Date, Time, Magnitude. 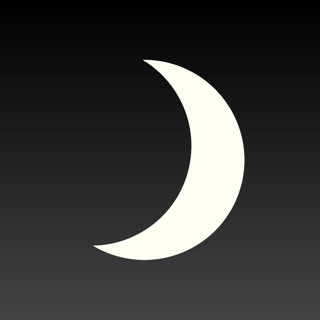 • Void of Course Moon tables (In-App purchase). • Set Ephemeris for any time or time zone. • 15 pre-defined Ayanamsa (sidereal mode), or define your own. • Aspectarian - Monthly calendar of aspects. • Transit Calendar - Monthly calendar of transits to any saved chart. 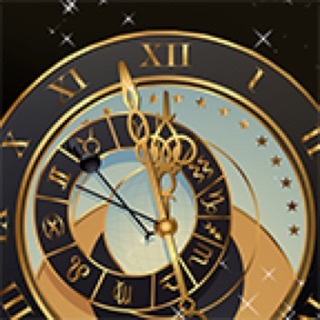 • Select which planets, points, aspects & orbs display on Ephemeris and Calendars. • Jump to a any date in Ephemeris and Calendars. • Ephemeris uses Jet Propulsion Laboratories (JPL) DE431 data. • Store charts in iCloud. • Menus in English, French, Spanish, Italian, German, Russian, Chinese, Japanese, Korean. • iPhemeris uses TzData, the international TimeZone database used by computers around the world. • Lookup Latitude & Longitude via global map with address search. - Fixed: Ephemeris “today” bar sometimes on wrong day. - Fixed: Location name from Search not added to chart data. - Fixed: Various minor issues related to display of points on wheel. - Fixed: Charts opened in landscape now display correctly without rotating device. I use this app on a daily basis. And I’m 99% happy with it, especially the charting capability. This is not some full-fledged astrological software app. It’s basic but does the job of generating charts snd providing an ephemeris. The auto time zone feature is WiFi based, so if you try to load the time zone when there’s no service, you’ll get stuck waiting for the app to finish searching. I’ve set my time zone as the default, but the UTC offset doesn’t show, and for me it’s reassuring to see it to confirm that the chart is accurate, so the Find Timezone feature is useful. Chart selection can get tricky if your moving around a lot and opening and closing charts. Charts stay selected, so you’ll have to hunt down the selected chart(s) and deselect it before opening a different chart. I’d rather not lose the feature of the persistent chart selection because it is useful, but a ‘Clear Selected Chart’ button would be helpful. Highly recommend this app for the mobile astrologer. ** "Clear Selected Chart" already exists! Use a "long press" on any chart in the list to clear previously selected and select that one. Also, iPhemeris IS a full fledged astrological charting tool! ? It does natal charts, synastry, bi-wheels, tri-wheels, progressed charts, solar and lunar returns. Has all the major house systems, all the major and minor aspects and independent applying and separating orbs for each... and offers 5000 years of ephemeris data, tables, full moon and eclipse time. 2) Time zone lookup doesn't require wifi.. it also works over the cell network. Virtually everyone has access to that 99% of the time. We think this is a worthwhile price to pay for the accuracy available from internet based time-zone databases. The current popular "on-board" time zone database used by other Apps is notorious for errors. We found sooo many errors in it that we opted to avoid it. But, you can always use manual entry for timezones if you are momentarily in a disconnected state. Just enter a value.